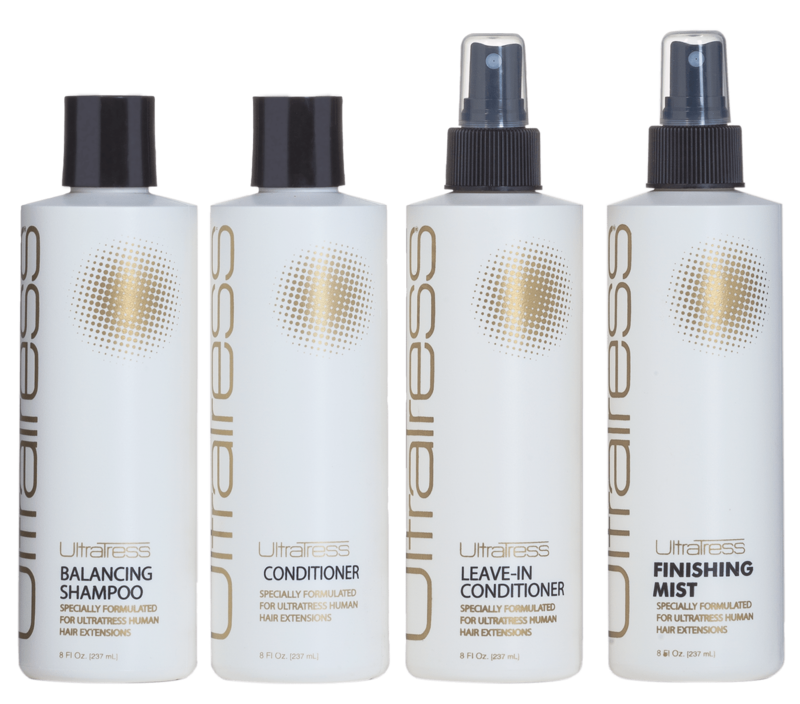 After years of research in top salons around the world, UltraTress developed a hair care liquid line exclusively formulated for UltraTress Human Hair Extensions. 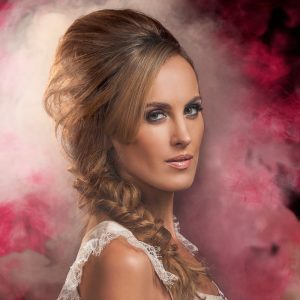 Designed as a four-step system, these products can be used on color-treated hair, fine hair, or oily scalp and are formulated to keep your UltraTress Human Hair Extensions in longer. A gentle shampoo that cleanses away organic oils and adds moisture and body to your UltraTress Hair Extensions, improving elasticity and strength, leaving hair more manageable. Specially formulated to keep your UltraTress Human Hair Extensions in for a longer period of time. [Do not use on hair before application.] Promotes body and shine, smooths hair, reduces static and prevents dryness along with getting flyaway strands back in shape. Can also be used daily as a detangler that’s safe to the adhesive bond. Nourishes and protects your UltraTress Hair Extensions from the wear and tear of daily styling. 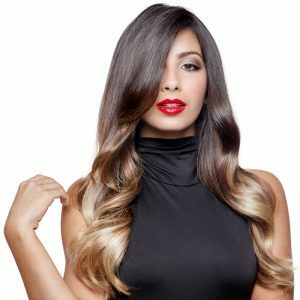 It leaves your hair smooth, without build up and gives your hair a healthier look from root to end. Contains sunscreen that helps protect against color loss, and damage from harmful UV rays. Provides instant detangling for any hair type. Provides a clean, flexible all day hold that secures the hair strands with a natural touchable finish. Easy to brush through formula reactivates with water for easy restyling. Creates a barrier between hair and damaging UV rays. 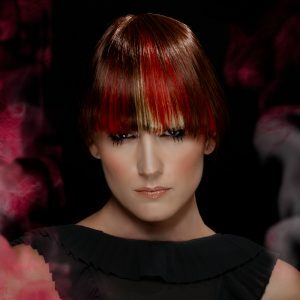 PLEASE NOTE: You’ll be redirected to our parent company, Hair Visions International’s, salon locator page. 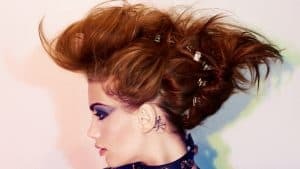 Ultimate hair for the ultimate you. © 2019 UltraTress. Hair Visions International. All Rights Reserved.